If White House chief strategist Steve Bannon does indeed lose his job, President Donald Trump might lose more than just a top adviser. The ouster could cost Trump one of his most vocal media cheerleaders. Under Bannon's leadership, Breitbart News became a key source for the alt-right and supporters of Trump. But with Bannon's future in the White House suddenly shrouded in uncertainty, the same might be said for the website's allegiance to Trump. On Tuesday morning, following a report indicating that conservative media mogul Rupert Murdoch has encouraged Trump to fire Bannon, Breitbart sounded the alarm with a headline splashed on its homepage accusing Murdoch and "WH Dems" of urging the president to "dump Bannon, give Trump voters middle finger." "I think there's no question that if Trump were to divorce himself from Steve Bannon and Steve were to leave the White House, then I really think it's open season against him, as far as Breitbart's concerned," said Kurt Bardella, a former spokesperson for Breitbart. While Trump has waged an all-out assault on the mainstream news media, he has been propped up by a group of outlets, like Breitbart and Fox News, that have consistently supported him and given a positive message about him to his base. The media that supports Trump is not a monolith -- the fight over Bannon has the potential to split Breitbart and the Murdoch-owned Fox, for example -- but if he were to lose some or all of his media allies, he could be in real political trouble. And in the case of Breitbart, ousting Bannon might be what it takes to ignite the feud. "If they flip that switch and go the opposite way, I think they'll go full tilt, 100 miles per hour," Bardella said. "Again, Steve Bannon himself, and you have to believe that if he were to leave the White House, he would resume a very prominent role with the Breitbart media world, that he doesn't do anything half-heartedly. He does it bombastically, much like the president. Deliberately and full force. 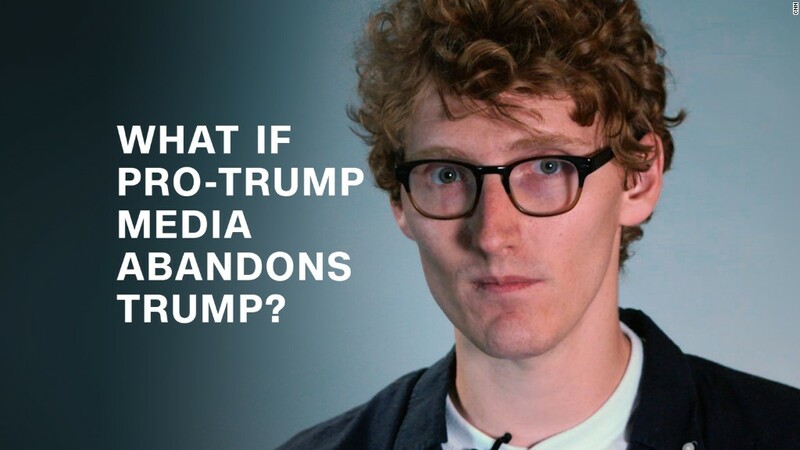 I think that's exactly what you'd see from Breitbart if they were to turn on Trump." This summer has exposed cracks in the Breitbart-Trump axis, providing a glimpse of what a battle between the website and White House might look like. When Trump publicly criticized Attorney General Jeff Sessions last month, Breitbart ran a story asserting that it exposed the president's "hypocrisy." By going after Sessions, Trump had crossed one of Breitbart's closest ideological allies, someone who Bannon even reportedly recruited to run for president. "When he was in the Senate, then Senator Jeff Sessions was one of the really very first prominent political figures to very publicly advocate for Breitbart, to talk about how Breitbart was a go-to news source for him," Bardella said. "They would declare all out war on behalf of Sessions," he added. Trump drew objections from other typically friendly sources for his attacks on Sessions. On Fox News, Tucker Carlson and Newt Gingrich both came to the attorney general's defense -- a rare break from Trump for the network's opinion coverage. Losing the cable news network would likely be more problematic for Trump than losing Breitbart. Robert Leonard, a radio journalist in Iowa, wrote a column for the New York Times last month arguing that only Fox has the power to end Trump's presidency because of the power it has with Trump's supporters. "There's a particular trajectory for Fox News whenever Trump does something that the media is critical of, they will bury it below the fold. They will elevate other stories," Leonard said. "They ignore a lot of things that Trump does, they'll drag up something about Obama." "I think that they could move a number of people," he added.